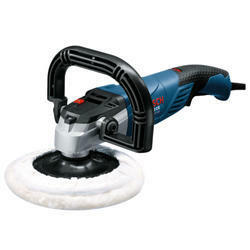 We are a leading Wholesale Trader of bosch professional polisher from Navi Mumbai, India. We supply, wholesale and trade the finest quality of Bosch Professional Polisher . Ideal for polishing different materials, the offered polisher machine is procured from reliable vendors. Owing to its high performance, low maintenance and robust construction, the offered polisher machine is highly demanded. Quality of the offered polisher machine is never compromised at our end.